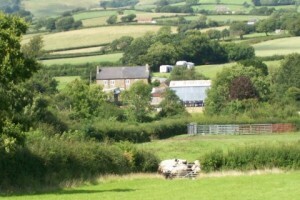 Crabbs Bluntshay Farm is situated in the beautiful Marshwood Vale, in an Area of Outstanding Natural Beauty. 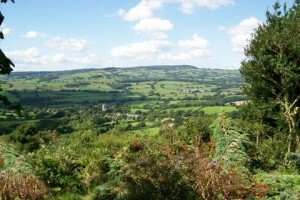 Bluntshay derives from the Saxon ‘Haeg of Blundell’ – The Hundred belonging to a man called Blundell. The patchwork quilt landscape of the area dates from the 12th century when there was massive forest clearance because of increased population. The River Char, which rises on nearby Lewesdon Hill flows through the farm to Charmouth. Crabbs Bluntshay is a small working farm with beef animals, suckler cows, geese, sheep and turkeys. It has been farmed by the same family for nearly 100 years originally being a dairy farm until 1978. During World War Two several fields were ploughed up to grow grain for the war effort but since that time the land has been used for grazing, and for making hay and silage. The farm has been involved with various environmental schemes since 1999 which were instrumental in planting a new orchard, creating a new hedgerow, erecting a bridge across the River Char and instigating a circular conservation walk. The circular walk around the farm (guided or unguided) encompasses ten fields with easy access to each one either by stile or farm gate. There are many features to observe. An ancient sheepwash with its associated water system meandering through the farm was used for hundreds of years to wash sheep prior to shearing. There are three examples of the ridge and furrow surface drainage system which was ploughed by oxen in the Middle Ages. A cob clay pit is situated in one field where clay was extracted to build cottages and farm buildings in the local area. There are three sites dating back to the 1700s where retting ponds for the processing of flax and hemp are to be found. Alongside one of the orchards flows a ditch which was dug out to a depth of 6 feet to provide a leet of water to run an undershot mill in operation 200 years ago. Around the farmyard is a cider cellar still in operation with authentic cider making equipment. 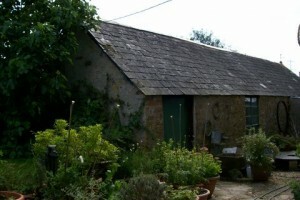 The cowstall, which housed animals until about 15 years ago was originally a skillen – an open sided building dating back to Victorian times. The farm produces apples for cider making which is done during the autumn and winter in the cider cellar equipped with an original cider press and apple mill. This is sold at the farm gate. Chutneys made from fruit and vegetables grown in the cottage garden and orchards are made all the year round. Honey is produced from our own bees on sites around West Dorset as well as on the farm and processed in the honey house. Flowers, fruit and vegetables produced on the farm, including sunflowers, dahlias and pumpkins are sold in season. All the products are available to campers and caravanners staying on the campsite and are also on sale at regular monthly Farmers’ Markets in Dorset and Somerset. The farm puts on an Open Day once a year in the October half term holiday which encompasses the conversation walk, a cider making talk and a chance to buy the Farmers’ Market products, as well as refreshments. Dorset Food Week in Bridport and many other one off, and two monthly markets are attended during the year. Farm visits are available to primary schools through the Access to Farms Scheme.